A giant head broke the surface and a plume of spray erupted seven metres into the air. The head was followed by the graceful arch of an enormous back and, several seconds later, by a small curved dorsal fin. It was a fin whale (Balaenoptera physalus), the second largest animal on earth, and this one had decided to cruise alongside us for a closer look. There were whales surfacing all around. We counted at least thirty animals in the immediate vicinity, with more blowing in the distance. It was a phenomenal natural spectacle. I remember thinking “it doesn’t get any better than this”… and then we spotted the humpbacks. 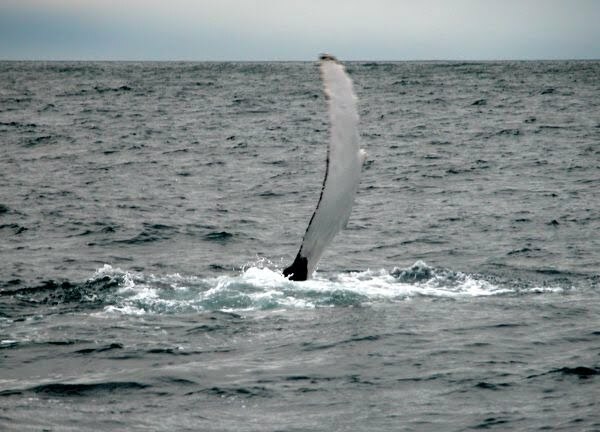 Humpback whales (Megaptera novaeangliae) are the natural acrobats of the whale world. The five that we encountered were putting on quite a display. We were treated to a gamut of whale behaviour that included fin slapping, fluking (lifting the tail flukes out of the water), spy-hopping (lifting the head out of the water for a look around), tail-slapping and most spectacularly of all, breaching. An astonished gasp went up from everybody aboard the boat as 30 tonnes of whale leaped clear of the water. The animal seemed to hang at the apex of its jump for an extended heartbeat before gravity reclaimed its massive bulk and it fell, twisting onto its side as it entered the water creating a spectacular splash. This was whale watching at its very best! Mention whale watching to most people and they will immediately think of far flung corners of the globe, like Australia, New Zealand, South Africa, Canada or Alaska. Of course there are also some superb whale watching locations closer to home, with Iceland and Norway springing to mind as perhaps the most famous in Europe. But it might surprise you to learn that there is world class whale watching available right here in Ireland. During the last five years or so the Irish Whale and Dolphin Group (IWDG), an NGO set up in 1990 to promote cetacean conservation and research in Ireland, has been monitoring dramatic baleen whale activity off the south coast. Fin and humpback whales are returning year after year to the seas off west Cork. Pádraig Whooley, Sightings Coordinator with of the IWDG, attributes the relatively recent discovery of these large whales in Irish waters to a dramatic increase in observer effort, with a nationwide network of IWDG members regularly monitoring cetacean activity from headlands around the coast. These whales, he believes have probably always been visiting the area, but until relatively recently nobody was really looking for them. 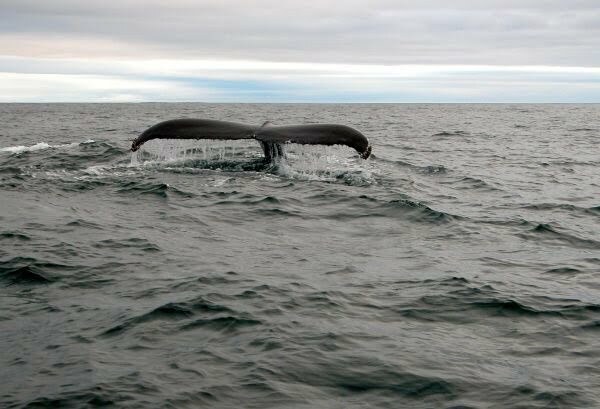 This theory is backed up by former fisherman Colin Barnes, who remembers seeing the whales almost as soon as he started fishing the waters off west Cork more than thirty years ago. Colin stopped fishing commercially in 2001 to concentrate on charter angling and diving trips. As a side venture he decided to put a few posters up locally offering trips to see the whales and dolphins that he knew were out there. He was staggered by the response. “I was absolutely amazed by what happened next,” he said. “When I put the posters up I was absolutely snowed under with demand.” Colin now concentrates almost exclusively on running whale and dolphin watching excursions out of Reen Pier near the picturesque west Cork fishing village of Union Hall. Locally many people still don’t realise that these huge whales are just off the coast, and a lot of them don’t believe it at first, but word is slowly spreading. Colin Barnes is still the only dedicated whale watching operator in the area, but with demand growing year on year it’s likely that he’ll soon be joined by others. It’s a development that he welcomes, and he is actively encouraging a number of people to get involved. 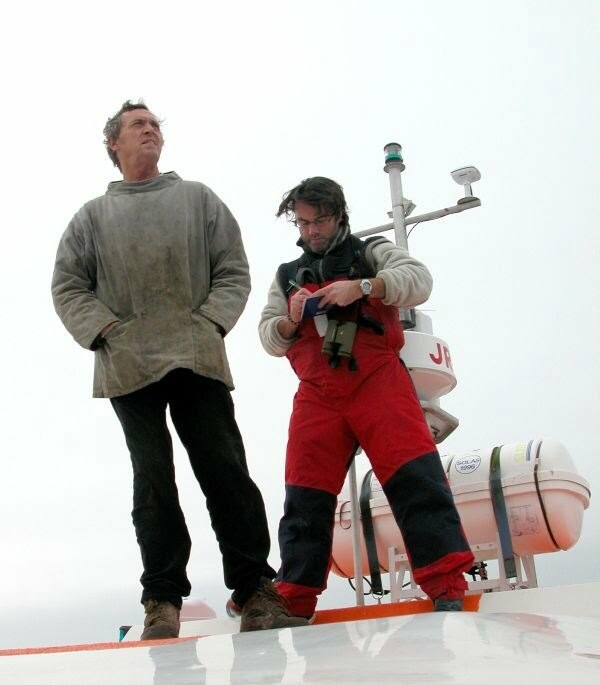 At present Colin works closely with IWDG members along the west Cork coast to monitor the whales’ movements, but he believes that a small network of boat operators could collaborate to track the whales’ movements even more effectively. From a conservation perspective the development of responsible whale watching offers significant benefits both for whales and for people. The Worldwide Fund for Nature (WWF) promotes carefully controlled whale watching as a positive conservation tool believing that it’s an ideal way of providing local communities with a sustainable economic benefit from the presence of whales and dolphins. It also contributes to public understanding and support not just for cetacean conservation but for marine conservation in general. In Ireland the IWDG is encouraging this fledgling industry to grow in a responsible and sustainable way. 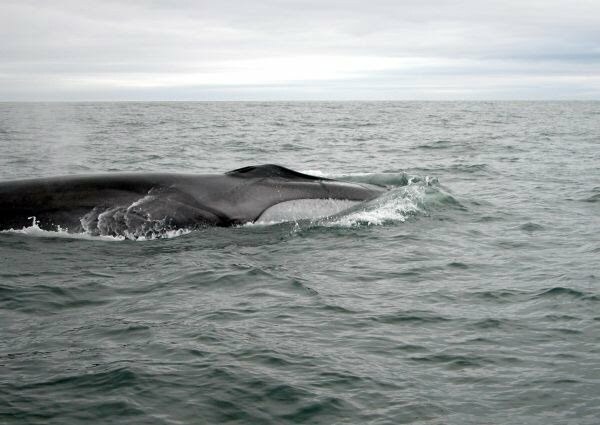 It recently published a policy document detailing its recommendations for the development of whale watching in Ireland. “The reality is that whale watching is almost certainly going to become a significant ecotourism venture down here in West Cork,” said Pádraig Whooley, who believes that the way the industry develops here over the next few years will be crucial to its sustainability. The IWDG would like to see the introduction of licensed whale watching operations, a focus on quality interpretation on whale watching vessels, a coordinated monitoring programme, the introduction of a code of conduct for whale watching and a conservation levy to divert some of the revenue generated by whale watching back into cetacean conservation in Ireland. Whale watching is one of the most popular, accessible and fastest growing sectors in wildlife tourism. Globally around 10 million people a year go whale watching, spending more than US$1.25 billion and that number is growing at an astonishing 12% per year. There’s something truly awe inspiring about these oceanic titans that at once both exhilarates and humbles you. Their grace, their power and their sheer size puts a close encounter with large whales up there with the most rewarding and memorable wildlife experiences of a lifetime. With world-class whale watching available off the coast of the Irish Republic, it’s an experience that’s more accessible than you might think. 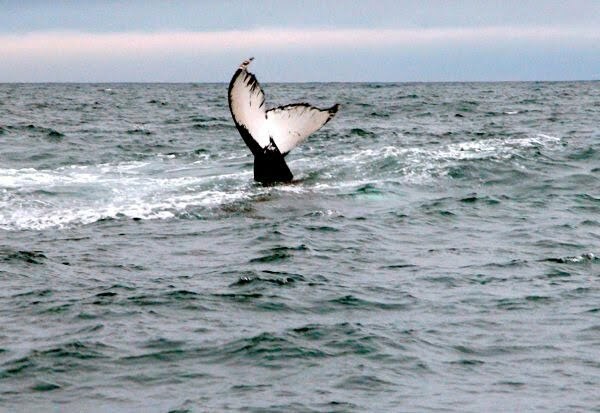 For details of Colin Barnes’s whale watching trips in West Cork check out the website. For more information on the cetacean sightings in Irish waters, cetacean conservation and whale watching around the Irish coast take a look at the IWDG website (http://www.iwdg.ie). The IWDG also runs regular two day whale watching courses on Cape Clear Island in west Cork. These courses combine evening seminars covering field craft and cetacean identification skills with daily shore-based and boat-based whale watching excursions. Good article but as a skipper (one of the Skellig boats) I am worried that the IWDG will become the police of marine wildlife watching and skippers will be compelled to take their courses or god forbid their eco certification courses entailing more regulation and expense, when the reality is we really do know what to do when it comes to protecting, approaching marine wildlife etc. Thanks for the comment Vincent… glad you like the article. On the IWDG front, from talking to people in the organisation I don’t get the impression that they covet the role of marine wildlife watching police — they’re more interested in putting their resources into conservation and research. 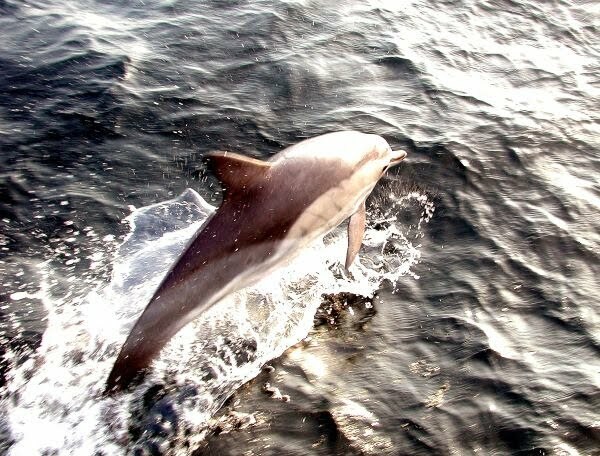 That remit naturally extends to encouraging responsible whale watching as it becomes more popular around the Irish coast: with more operators and more wildlife tourists comes increased likelihood of adverse impact to the animals, and a greater need for some form of regulation / code of conduct. At the moment, with relatively few boats operating, by and large, in a responsible way the status quo seems to works quite well… the issue will arise if / when more operators set up shop. For whale watching to grow sustainably in a way that will benefit coastal communities and whale conservation I do think there will need to be some structure for commercial whale watching operations. I suspect in that case the IWDG will contribute in an advisory role to whichever government agency takes on the regulatory / licensing role, rather than adopting that mantle itself. It will be interesting to see how this pans out as the profile of whales and whale watching around Ireland continues to rise. While I’m all in favour of a common sense rather than a red tape approach to these things I’ve seen some incredibly poor conduct from a certain whale watch operator in the south-east. I don’t want to make any generalisations but I think that many would-be operators might come from a fishing background which, at the moment at least, is unsustainable and unsympathetic to fish stocks and the general health of the seas. It’s important that any new operators are educated on how to approach cetaceans (and other marine megafauna) at sea and how good conduct is to the benefit of everyone; whales not stressed, tourists get better sightings, operator gets better reputation and hopefully business. Compare that to aggressive and invasive approaches which just spooks the animals and has no benefit to anybody involved. It’s a pity that everybody isn’t already aware of the need for tactfulness when dealing with wildlife but that’s the way it is and hence the need for some type of, probably light, regulation. The wild diary looks fantastic Vincent, great work!